hd00:21Spider closeup nephila pilipes, northern golden orb weaver or giant golden orb weaver one of the largest spiders in the world. Dorsal side with green nature forest bokeh background. 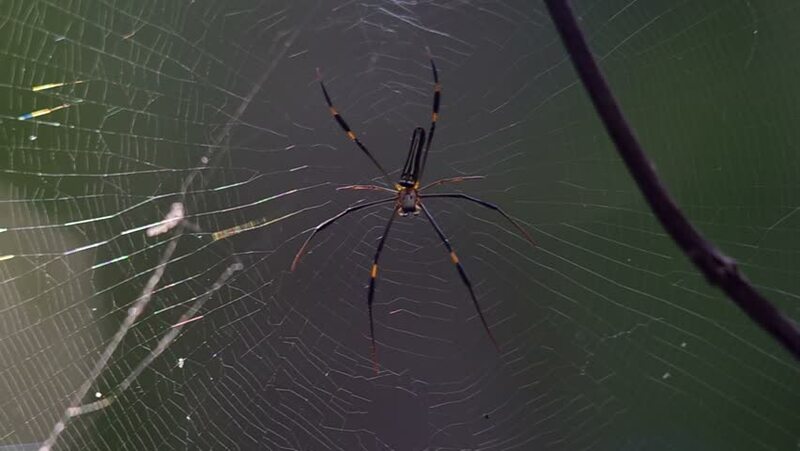 hd00:20Spider on web in forest, Thailand.